This amazing home offers a private pool, exclusive beach access, a 6 seater golf cart, an air hockey table, a wonderful location in Terra Cotta Terrace, and more! 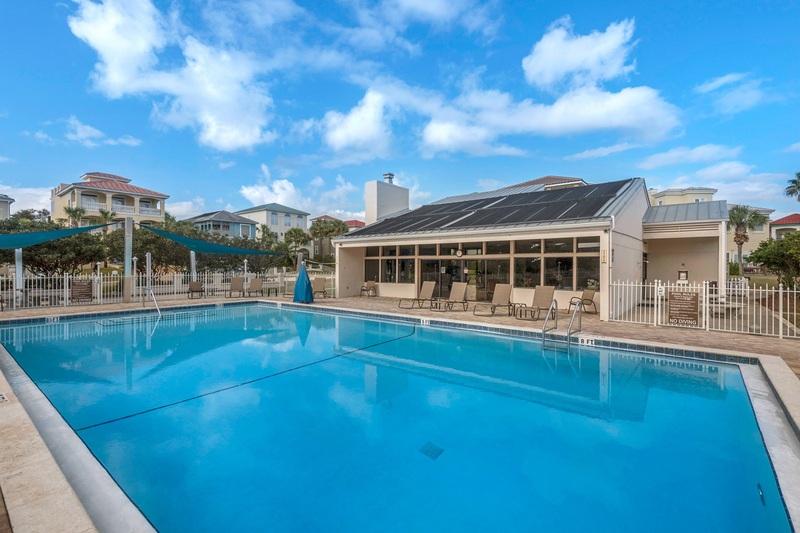 Terra Cotta amenities include a community pool, grilling areas, volleyball and tennis courts. If you are looking for a fun-filled beach vacation, reserve Shangri-La today! This colorful and friendly beach home offer two stories of luxury. One the first floor, you will find an open and spacious kitchen, dining room, and a great room. There is also a bedroom with a queen size bed and a bathroom. The second floor offers a master bedroom with a luxurious king size bed and an adjoined master bathroom. The third bedroom features two sets of bunk beds, bean bag chairs, a TV, and an air hockey table! The private pool is the perfect place to spend the afternoon, or stroll down to the beach just one block away and go swimming in the Gulf of Mexico. The private pool can be heated for an additional fee. This home even comes with a golf cart, so you can explore the coast in style! We also offer bikes rentals at a discounted rate to our guests if you want to go on a relaxing bike ride. "Great get away in a great location. Really enjoyed the pool/backyard space"
"Thank you for taking the time to share your experience with us Tammy! I am so happy to hear that you and your family found Shangri La had plenty of space and enjoyed the furnishings of this spectacular rental property. You and your guests were certainly a pleasure to host, and we welcome you all to come back and relax with us here in Destin anytime! Sincerely, Destin Palms Management"
"This was our first time staying at Shangri LA- it was awesome ! Plenty of room for our whole group! The pool was nice ! They also supplied a 6 seat golf cart! Which was amazing and convenient! The house is not far from the beach, but it still made it easier! We had an issue with our downstairs AC not working, maintenance was literally there within 10 minutes! I can't say enough good things about this rental!" "Thank you for your feedback. Glad to hear you enjoyed the home and our staff quickly resolved the AC issue for you. We hope you will come back to see us again in the furture. Destin Palms Management "
"We had a great time on our vacation. The house is beautiful. And having the golf cart and private pool were an added bonus! We liked that we were able to communicate with the property management company through the app that was provided. Very convenient and it had everything that we needed to know about the house. The neighborhood was super nice and quiet. We come to Destin every September and stay in a different house each time, but I think we found the house that we will rent for now on. The golf cart could use some work, tires maybe. We really loved the house. " "Thank you for your feedback. We are happy to hear you had a nice vacation in our home. Look forward to your next visit. 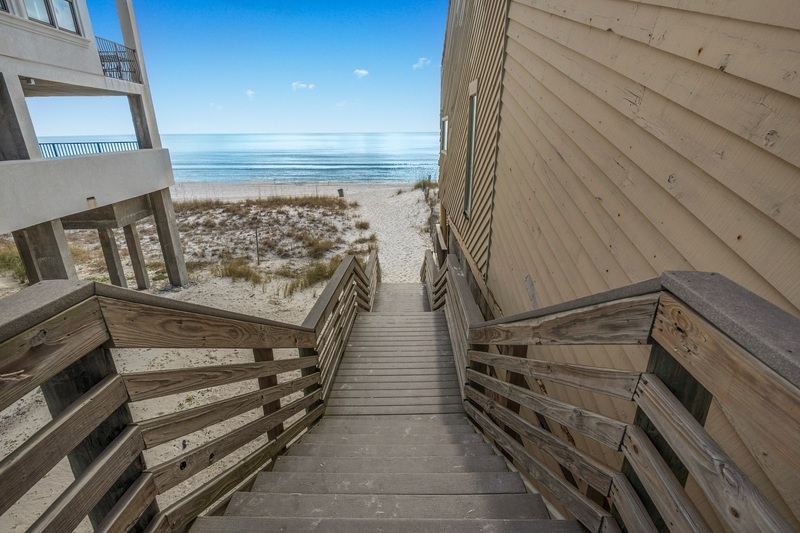 Destin Palms Management "
"We enjoyed our stay here, house was in a convenient location with great beach access. Other than a few minor issues such as the kitchen was not well stocked with cookware and microwave ware but the beds were really comfy and the AC really worked well ( which in many rentals we found they don't). When the gas grill did not work the management team was prompt to get us substitute grill and quickly responded for all our calls. Love the use of a golf cart. It really was a treat!" "Thanks for your feedback. We will pass along your observations regarding the kitchen to our staff to ensure the kitchen inventory is re-stocked as needed. Glad you enjoyed your stay and the golf cart. Come see us again. Destin Palms Management"
"We really enjoyed our stay, we look forward to returning next year." "Thank you for your feedback! 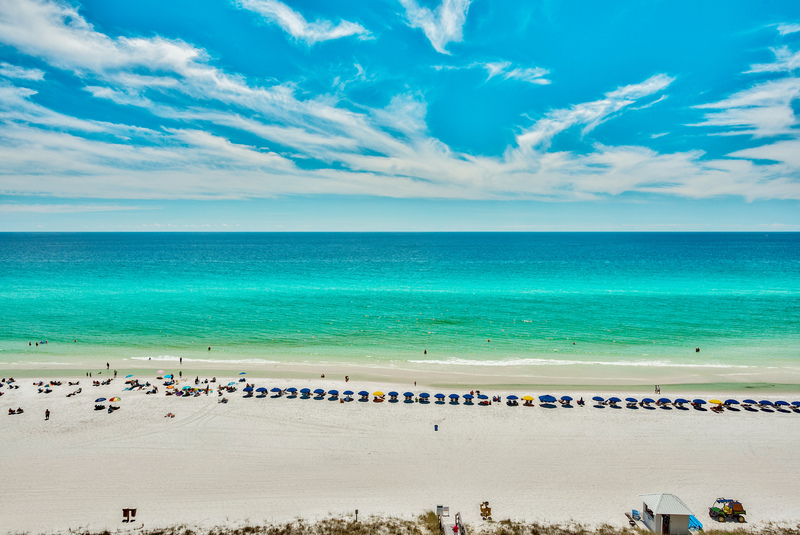 Please come visit us again next year :) - Destin Palms Vacations"
"We stayed at this property while on our kids spring break with kids ages 9 and 4. The bunk room was perfect for them! The home was a great size for only 4 people. It was super convenient having a pool in the backyard and the golf cart as the home is not directly beachfront. The house was clean and in a good neighborhood. In great location to other activities and restaurants. Only thing to make sure is that you receive the beach access gate before you arrive. We didn't get ours until we were standing at the gate and couldn't get in. The app was super helpful in planning for our visit. " "Thank you for your feedback. We look forward to your next visit with us. Destin Palms Management"
"The rental was clean, well furnished and had everything we needed. It was chilly but we asked to have the pool heated ahead of time and it was perfect! The beach is a short walk across the street and perfect distance from restaurants and activities. Also, the management was very responsive and prompt. " "Very happy with the stay.. golf cart was a major plus. Only real complaint is the pool was ice cold and it was in the high 80s in early October. Had to go to the community pool which basically made it pointless for us to stay in a place with a private pool. And the kids room carpets were pretty bad.. All the positive things definitely out weighed the two minor complaints and will probably stay again!!" "Thank you for your feedback! We wish you would have called our office about the private pool. It can be heated for an additional charge, and would have eliminated you going to the public pool. The carpets are being cleaned and the property is being deep cleaned this off season. We hope that you come back and stay with us again in the future! - Destin Palms Management"
"The house was beautiful & prefect area! Everything was very clean and well maintained. We enjoyed having a golf cart with our rental to carry all of our beach items, beach was little far. Overall, we had a great time and would definitely go back! " " Having the golf cart for the week included turned out to be very helpful. The location was very very close to the private beach. We noticed that in previous reviews they were negative comments about utensils and silverware in the toaster we also noticed that everyone of those issues were resolved. The pool is amazing and so nice to dip into at night. The house was a little small for our size a group, four kids five adults, but The house was laid out well. We would love to come back to this vacation home again. The management answered any questions almost immediately via text this really impressed us." "We were very pleased with Shangri-la. It was beautiful and clean, I would definitely stay here again and recommend it highly. Having a private pool made our vacation perfect and the walk to the beach was easy. " "Thank you for taking the time to review your stay with us. We're happy to hear your stay was enjoyable, and hope to have you back to stay with us again in the future! Have a great day! -Destin Palms Management"
"The home is beautiful, spacious and clean. The pool and yard are lovely. Plenty of room for all of us, decorated beautifully. The location was great- loved the neighborhood, community pool, ect. Short walk to beach. Golf cart was great. Management was responsive. Kitchen needs some basics- there was only 1 pot, no colander and no large kitchen knifes. Our group cooked almost every night and this proved to be difficult. There were no serving bowls or platters either. A larger toaster would have been nice also- only a small 2 slice was available. The washer dryer were small- we could only was a few things at a time. This place would be perfect with the additions of these things. " "Thank you for your feedback. I assure you that we, as the management company, and the owner take guest feedback very serious. We are going to make a list of your requests and get them taken care of in a timely manner. We hope that you come back to visit us again in the future! ~ Destin Palms Management"
"We had a fabulous stay!" "We are very happy that you had such a great time! Shangri-LA is a great place to spend a vacation. We hope that you come back to visit us again in the future! 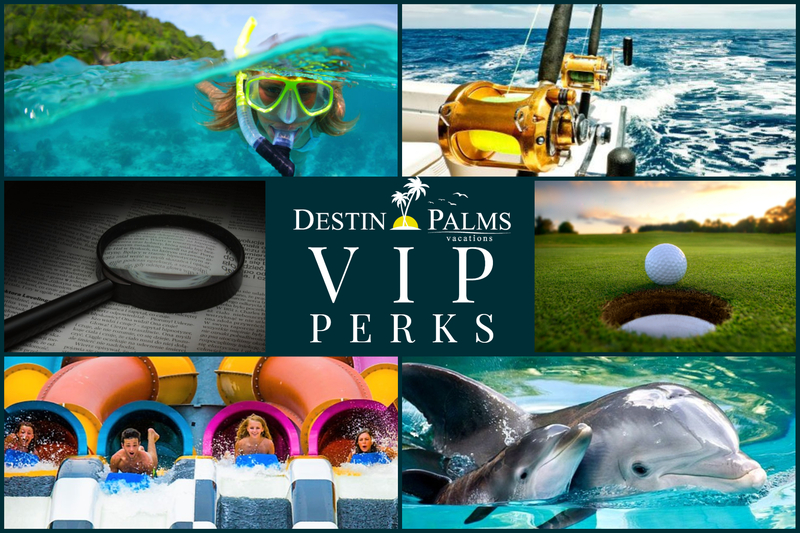 ~ Destin Palms Management"
"The whole week was fantastic. Check-in was very easy and we had such a great time. The house feels secluded, but is still a short walk to the beach and a short drive to shopping and resteraunts. The house was very comfortable and our kids had so much fun in the bunk room. The golf cart was a little underpowered, but we may have been doing something wrong. I am sure the management company would have come and helped, but the walk was so short we didn't worry about it. Our kids are already asking if go back and stay there again." "This is great to hear! We are so glad that you enjoyed your stay, and we hope that you do come back! We definitely would have come to look at the golf cart, so next time please give us a call if there are any issues :) Thank you again for your wonderful feedback! ~Destin Palms Management"
"The house is beautiful! The Decor is modern and beachy. We were very comfortable there and enjoyed our stay. The kids loved their big room with the air hockey table. There are no board games or video games in the house, so you may want to bring something for a rainy day. The pool is nice. It is small but there is a larger neighborhood pool if that is preferred. It was convenient to have one in the backyard as we went in and out making lunch and taking care of kids. The only way to get to pool is through downstairs bedroom or out the front door, so that was a little inconvenient. The house is a great location to get to shopping and restaurants, a couple are even within walking distance. The house is a little farther from the beach than we expected but we used and appreciated the golf cart very much! Overall, it was a great trip and we'd love to visit again!! "Great location ,issue w downstairs bed fixed promptly, but still not sturdy enough,thought maybe an area rug might help with sturdiness since it's on tile floor, pool not recommended for more than a family of 4, also recommend an outside shower be installed to help clean sand off thoroughly . Golf cart convenient. Had a great time"
"Beautiful home in an awesome neighborhood. Within walking distance to the beach and it comes with a golf cart to get you to and from! It was a excellent experience and I would highly recommend it to anyone! Thanks again! " "Thank you! 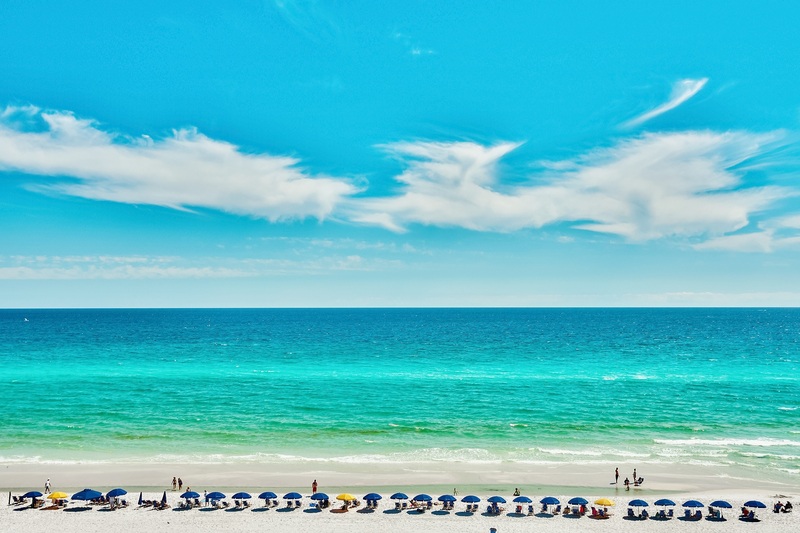 We are glad that you enjoyed your time in Destin! We hope to see you next year!" "Overall our stay was great. There were a few issues we came across. The cleaning crew didn't clean very well, one of our kids found pieces of a broken glass with her foot. That was probably the biggest issue we had other things were small, like the towel racks were coming out of the wall. But once we contacted the property managers they sent someone out super fast and was repaired same day. Only other issue was description said the house came with a 6 seater golf cart and one provided was a 4 seater but we managed. Location was great, rental staff/maintenance was very friendly, professional and quick to repair. I would definitely recommend this house to others! Hopefully it will be available for us next year!" "Excellent! The house was great- the only downfall was the golf cart wouldn't stay charged so we couldn't use it"